First of all, I’ve got a confession: I used Proactiv off and on since I was a teenager until about six months ago. 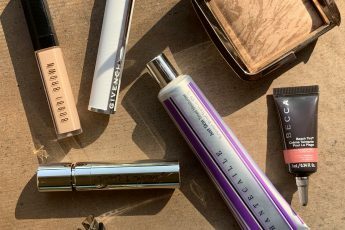 It’s pretty much the most synthetic and toxic product line I was using, but I loved how it worked on my skin! I’ve never really had full-blown acne, but I do get monthly hormonal breakouts between my lower lip and chin and congestion on my nose and hairline sometimes. 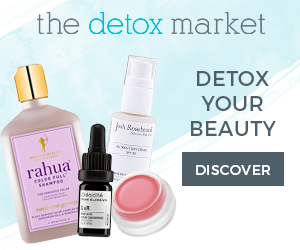 Both have been pretty tough to manage since quitting the Proactiv (which is basically bleach, parabens, artificial fragrance and dyes, and a list of other toxic chemicals). I haven’t found a face wash that I absolutely love yet, but the one skincare product that I CANNOT live without lately is Tracie Martyn’s Absolute Purity Toner. This is the only natural and nontoxic toner I’ve found so far that feels like a true toner to me (think Proactiv, Clarins, or Clinique toners that leave your face feeling refreshed, clean, smooth and a little bit tight but in a good way). 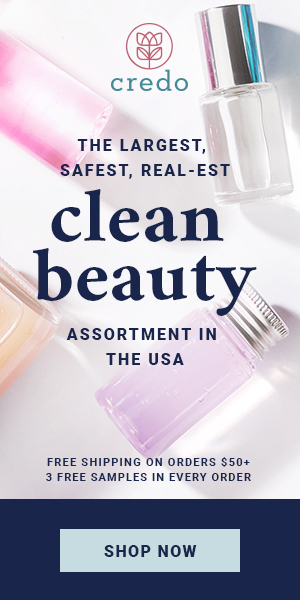 I’ve tried about 5 others from various other clean beauty brands and they all either a) have super strong fragrances, b) leave my face feeling sticky and unclean, c) just don’t perform like I want them to, or d) all of the above. This Absolute Purity Toner is exactly what my face needs. It’s so refreshing post wash, has a bit of a lavender-ish scent that fades super quickly, and my face feels so smooth and clean after using it. My only issue is the fact that I need to repurchase so often because I love it that much and at $60 it’s not exactly cheap. But I think it’s worth it! The best and only clean moisturizer I really like so far is the Kypris Antioxidant Dew. 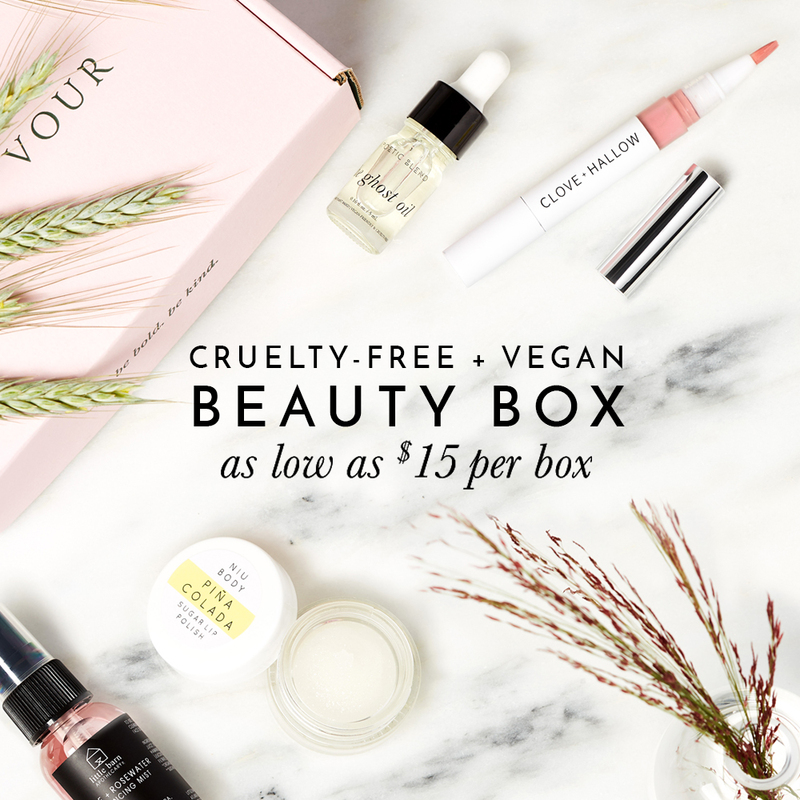 Guys, there are SO MANY FACE OILS in clean/nontoxic beauty. I get it! 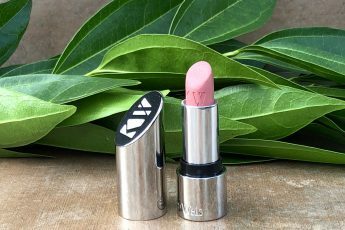 They’re great for mature and dry skin, can absorb quickly for some people, are often easy to make with clean ingredients because there isn’t a need for emulsifiers or thickeners, and they’re really trendy and popular. But I just can’t with them right now! I live in very south Florida where it is regularly above 90 degrees and the humidity is currently 70%. I’m not complaining (especially come winter), and I love body oils no matter the weather, but I am over the face oil craze for now. Kypris Antioxidant Dew isn’t quite the perfect gel moisturizer I wish I could find, but it is a very lightweight serum that is kind of milky in apperance/texture and it absorbs so quickly and easily. 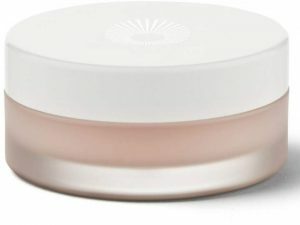 It also has almost no smell at all, and my skin still feels like it can breathe after application. 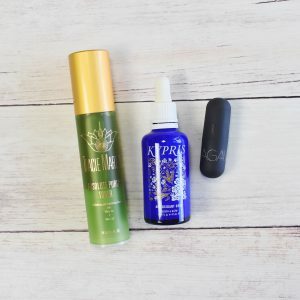 Even better are the other benefits it has, like increased hydration, radiance, and elasticity while calming redness and inflammation and brightening dull skin. The ingredients include vitamins C & E and Freulic Acid as powerful antioxidants, sea alge and aloe for hydration, rose and reed extracts for soothing, toning and calming, and tamanu oil to help with apperance of past acne scars and stimulate celluar renewal. Finally, my lips have been needing constant hydration with the outside heat and air conditioning always running, and this Bite Beauty Agave Lip Balm isn’t the cleanest formula or brand ever (watch out for the dyes in many of their colored lip products), but I love their Agave Lip Mask and this Balm so much because you only need to apply like once a day and your lips stay hydrated! I will literally put this balm on before bed and when I wake up there is still a little bit on my lips. They also have a soft sweet smell (and the lip mask tastes sweet as well) which I love. This Aquis Hair Turban is the best. I don’t blow dry and heat style my hair much in the summer, so I just put a little bit of oil on my ends and wrap my hair up in this to dry after washing (I don’t let it fully dry in the towel; I usually take it out when it’s about 3/4 dry and tie it into a low twisted bun for smoothness and a little wave at the ends). 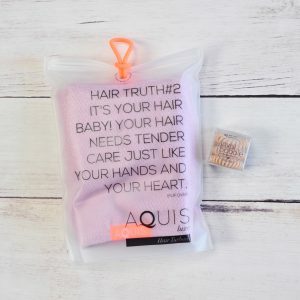 It’s so easy, accommodates various hair lengths, and is soft microfiber that absorbs moisture super quickly. It also has a secure loop and button closure so you can twist your hair up and do pretty much whatever without worrying about it falling out. I’ve also apparently been living under a rock lately because I just tried Invisibobble hair ties for the first time (and everyone else seems to already know about and love them), but I love them now too! I wear my hair up about 98% of the time, and I sometimes get headaches and ‘sore hair’ (it’s a thing) from regular hair ties and even the ribbon ties like Twistband, etc. I’m not going to say you’ll never get a headache from these, but they hold onto your hair so much easier and with so much less tension that I think they might be the most comfortable hair ties for me. They also are made of silicone so they don’t get soggy, and the slinky shape is not just for grip but so that you don’t get such obvious ponytail dents/lines after taking it out. Love them! If you haven’t heard of or tried dry body brushing yet, look it up! This is one trend that I am fully on board with. It is an extra step in the busy process of showering and getting ready etc., and it does take a bit of time when done thoroughly and completely, so I don’t do it as much as I’d like. But when I do, my body and skin really do feel so much better! 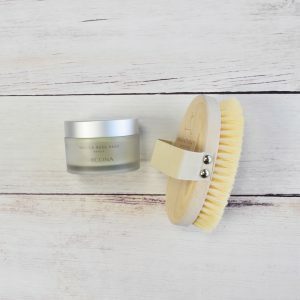 Benefits of dry brushing include exfoliation, increased circulation, lymphatic drainage, and even reduced apperance of cellulite. I might do a more in-depth post about body brushing in the future, but here are the basics you should know for now: First, choose a natural fiber body brush with medium to firm bristles. If you have sensitive skin or are new to body exfoliation/brushing, go with medium bristles at first. Second, make sure to keep your brush clean and dry. I use a tea tree oil spray on the bristles after every use and use a tea tree soap to fully wash it after every 4 or so uses. You’ll want to replace the brush every 6 mos to a year or so, depending on how often you use it. The proper way to dry brush your skin is by using long, even strokes starting at your extremities and working up and in toward your heart. Start at feet and brush upward, then at hands and work inward, etc. For abdomen, brush in a circular clockwise motion. Avoid the face and be gentle on areas around your privates, neck, heart, and armpits. Next, fewer clothes means more shaving, and more shaving for me means more irritation and ingrown hairs. I love these Arcona Tabula Rasa Pads for my underarms and bikini area after shaving to help soothe and exfoliate my skin and avoid ingrowns. 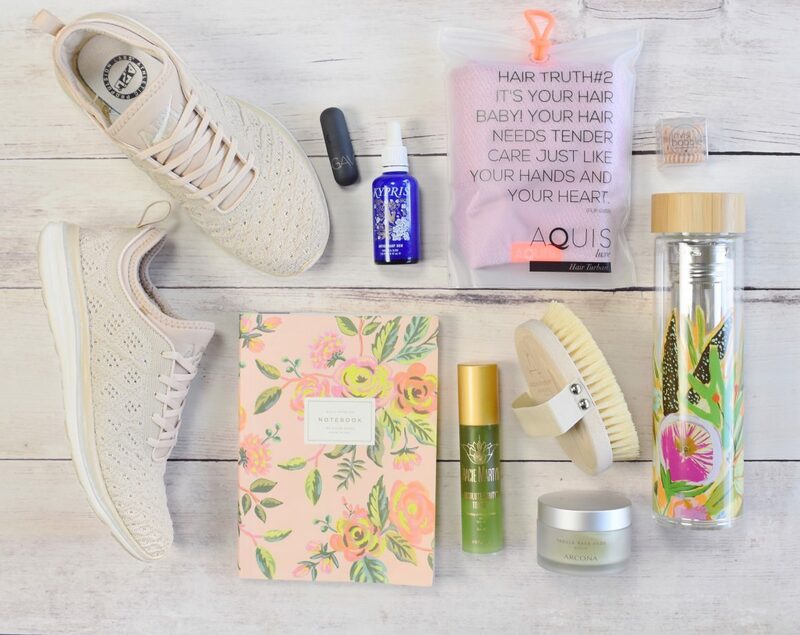 These last items of my summer favorites list are probably the most important. Hydration and exercise are obviously two of the best things you can do for your health and wellness overall, but staying hydrated and moving are especially important in the summer. I can’t do much exercise-wise besides occasional barre/Pilates videos and walking lately, but these APL Techloom Phantom sneaks are the cutest and comfiest athletic shoes I’ve worn in a while. They’re SO light and breathable. So if you have warm feet or like to work out outside a lot in the summer, these are your guys! Also, the design is worth mentioning again. I love the neutral color, fabric/texture and style! This water bottle is one of the prettiest things I’ve bought recently. It’s made from nontoxic glass and bamboo, and I absolutely love the artwork on it by Lulie Wallace! 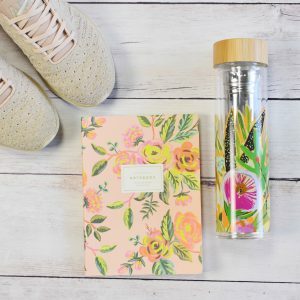 This is a large 16 oz., 10 inch substantial weight water bottle that would look gorgeous on a desk or bedside table reminding you to stay hydrated! It also has a removable little stainless steel infuser that you can pack with fruit like berries, lemon and/or lime if you want a little subtle flavor. Finally, this Rifle Paper Co. notebook is not just adorable but probably the most important thing I have been using this summer. This is my food and wellness journal. I will definitely be doing a post about autoimmune wellness/elimination diet food journaling for you guys soon, but the gist is that I write down almost every detail about my life every day to monitor and manage my health. I note when I wake up and how I slept, every meal and medicine/supplement/vitamin that I take, and what various but specific symptoms/reactions I have or don’t have for each day. I also note my exercise and sun exposure (vitamin D is super important, especially for those of us with autoimmune issues) as well as things like my mood, my period, when I see my chiropractor, and a spot for ‘other’ where I note any extra or random info (like lately I have been having jaw pain from clenching my teeth). I can’t recommend journaling enough if you are struggling with any aspect of your health (physical, mental, or emotional!). Thank you! And omg I will definitely have to check out that moisturizer it sounds amazing and I love squalane. 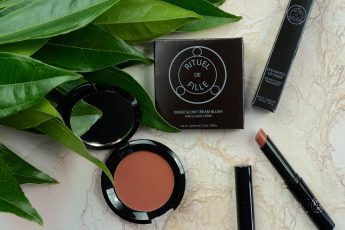 Bite beauty is such a pretty brand and their formulas are so good!